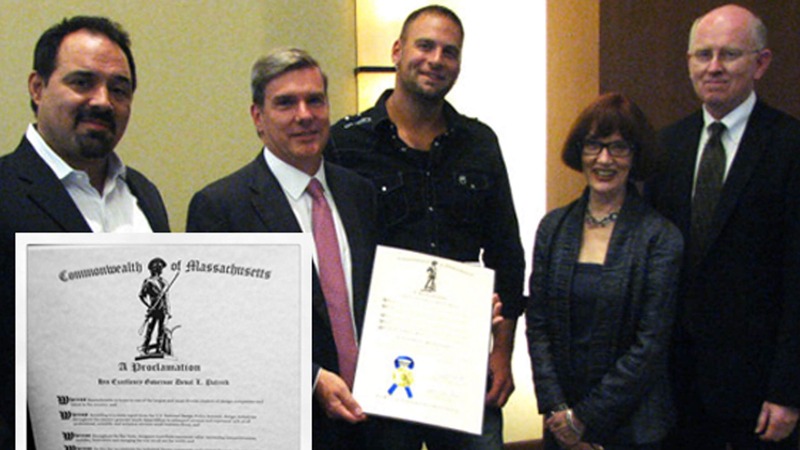 Secretary Bialecki presents the Industrial Design Day Proclamation to the organizers of the Industrial Design Society of America’s conference team – Left to right Austen Angel, Jordan Nollman, Valerie Fletcher, Geore McCain. Massachusetts is the perfect backdrop for the 2012 Industrial Design Conference; bringing hundreds of designer from around the world to discuss the future of design. And urge all the citizens of the Commonwealth to take cognizance of this event and participate fittingly in its observance.